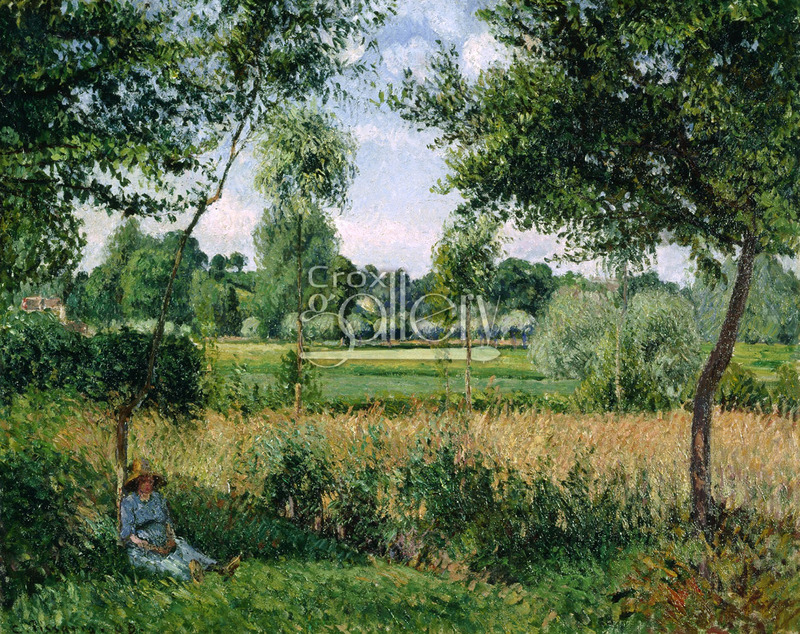 Oil painting, "Morning Sunlight Effect, Eragny" by Pissarro. 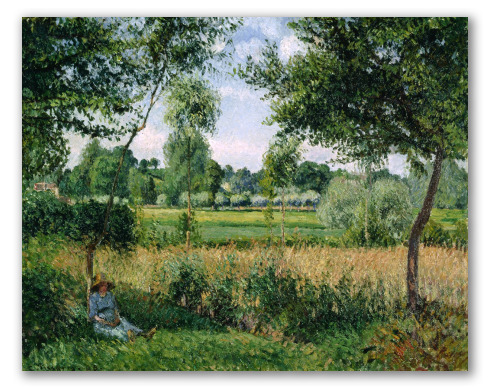 This painting, entitled "Morning Sunlight Effect, Eragny" was painted by Camille Pissarro in 1899, during his last artistic phase. Pissarro returned to his roots after decades of enjoying a brilliant career. Towards the end of his life he conceived this painting, which depicts a classic landscape that shows the elegant simplicity of impressionist-style brushstrokes illuminating the canvas. This work is currently found in the Israel Museum, Jerusalem. Original size: 66 x 81,7 cm.